Headlights and tail lights can need replacement after many years of use or after you’ve been in a collision as simple as a fender bender. Your headlights and tail lights are an important part of your safety when you drive. Broken or poorly functioning headlights and tail lights can affect your driving, so you want to make sure your headlights and tail lights are in great working condition. Your headlights are important for your safety on the road. There are many types of lights that you can use for your car. Your options for headlights and tail lights depend on the type of car you car and what you need it for. The primary types of headlights seen in cars are LED, halogen, and HID, which means high-intensity discharge lights. LED lights can be the most expensive headlight option, but you get your value in LED lights because they can last the lifetime of your vehicle. If you have a luxury vehicle, your headlights and tail lights are likely LEDs. Halogen headlights and tail lights are a commonly used option in cars. Halogen lights do not last as long, since the heat released by these lights shortens the lifespan of them. HID lights, also known as xenon lights, are a more efficient option for your car because they don’t generate additional heat the same way halogen lights do. So many factors can lead you to bringing your car to an auto body repair shop when your car’s lights aren’t working. Even a minor auto accident can break the housing of the headlight. If the headlight housing is broken, there could be more aspects of your lights that have been damaged from the collision. Auto repair mechanics will assess the damage to ensure the accident didn’t cause other issues. Don’t wait to get your headlights or tail lights fixed. You could get pulled over if you have a broken light! If a headlight or tail light on your car stops working all of a sudden, the issue is more likely a dead bulb or an electrical problem. While this problem may seem minor, you could still get pulled over while driving a car that has a broken headlight or tail light. 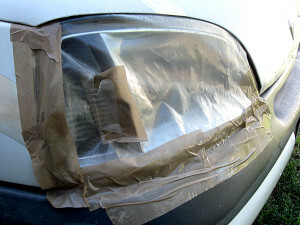 Avoid the cost of a ticket by replacing your headlight soon after you start experiencing issues. 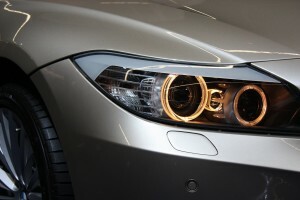 It can be difficult to identify what is causing problems with your headlights until you take your car into an car repair shop. Observe if your lights have grown dim or turn on intermittently. Sometimes the solution can be as simple as a good car wash to clean off the housing and improve the brightness of your lights! When your headlights are in need of repair in Reno or Sparks, visit the qualified team at Liberty Collision! At our auto body repair shop, you can get an estimate and have your car’s lights replaced. At Liberty Collision, we are passionate about getting your vehicle back on the road safely and efficiently. With over 25 years of experience, you can trust us as your go-to auto body repair shop in Reno.